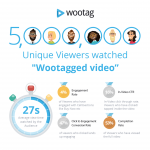 This week take a look at a powerful execution by Ford, across programmatic channels, to increase the awareness and time spent by the audience within their videos by using Wootag’s Video in Video feature! Ford was able to provide a “Choose your adventure” type of video viewing experience where viewers chose the feature of the car they were most interested in giving Ford valuable data insights on what features matter to which viewers based on their targeting metrics. Ford X Wootag with this unique type of interactive viewing experience which generated uplift in view time and valuable insights on the Ford EcoSport features which mattered the most across their audience. 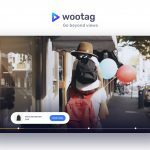 Visit Wootag.com to learn more about more various interactive executions and insights!